Africa’s most densely populated country is trying to overcome the limitations of its small, landlocked economy by leveraging regional trade. Rwanda joined the East African Community (EAC) and is aligning its budget, trade, and immigration policies with its regional partners. 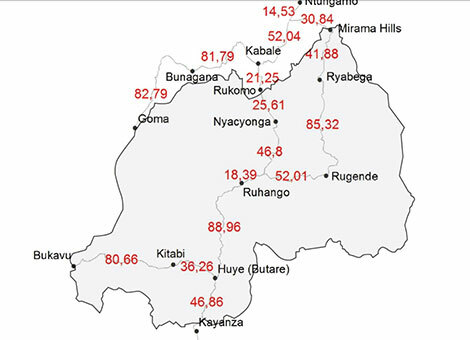 With a predominantly rural population, 90% of whom are engaged in (mainly subsistence) agriculture (and some mineral and agro-processing), the Rwandan government has embraced an expansionary fiscal policy to reduce poverty by improving education, infrastructure, and foreign and domestic investment and pursuing market-orientated reforms. Real GDP growth slowed in 2013 in part due to poor performance in agriculture and the lagged effects of the suspension of budget support disbursements in 2012. Estimates indicate that industry and services were the primary drivers of growth in 2013, while growth in agriculture, though modest, was stronger compared to 2012. Export earnings increased by an estimated 33% in 2013, compared to the previous year, on the back of increased coffee and tea production and favorable prices for key mineral exports, particularly coltan and cassiterite. GDP growth is projected to have increased from 4.6% in 2013 to 7% in 2014. The key growth drivers in the short and medium term include recovery in the services sector, increased productivity in the agriculture sector and the sustained implementation of the public investment program. Tourism, minerals, coffee and tea remain Rwanda’s main sources of foreign exchange, although the Rwandan Government aspires to have the country become a regional leader in information and communication technologies. 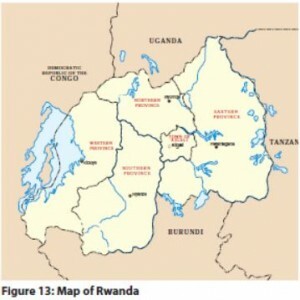 Rwanda completed its first modern Special Economic Zone (SEZ) in Kigali, and seeks to attract investment in agribusiness, information and communications technologies, trade and logistics, mining, and construction. However, energy shortages, instability in neighboring states, and the lack of adequate transportation linkages to other countries continue to handicap private sector growth.